Léon Gaumont, modestly born but mechanically minded, was fascinated by photography. The seventeen-year-old's notebook contains advanced ideas on filming and on successive projection. In 1881 he entered the Paris workshops of Jules Carpentier, one of the best known precision instruments manufacturers of the time and, years later, the constructor of the Lumière Cinématographe. In 1888 Gaumont married Camille Maillard, who brought as her dowry a piece of land on the rue des Alouettes, near the Buttes Chaumont, the eventual site of the Gaumont studios and of the 'cité Elgé'. In 1893, Gaumont went to work for Félix Richard in his shop, the Comptoir géneral de photographie, at 57 rue Saint-Roch in Paris. 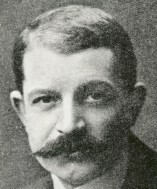 Richard became embroiled in a legal battle with his brother Jules and, in June 1895, offered to sell out to Léon Gaumont. The latter bought the business and, on 10 August 1895, in partnership with the engineer Gustave Eiffel (the creator of the tower), the astronomer Joseph Vallot and the financier Alfred Besnier, formed a company L. Gaumont et Cie. He accepted a proposal from Georges Demenÿ, E-J. Marey's old collaborator, that he should manufacture and market Demenÿ's chronophotographic camera and his projector-viewer, the Phonoscope. This last machine, rechristened the Bioscope, went on sale in November 1895, and the Biographe camera soon after. Both failed: the Phonoscope used glass discs and the camera used non perforated film. Gaumont recovered from this setback by manufacturing, with engineer L-R. Decaux and Demenÿ, a camera/projector using 60 mm perforated film (1896), followed by a model using 35 mm perforated film (1897). The first films in the Gaumont catalogue were bought from, among others, Albert Londe, P. Gers and Deslandes. Soon after, Gaumont's young secretary, Alice Guy, was entrusted with the production of films. The company reached second place (after Pathé) in the market for French cinematographic equipment, producing the Chrono de poche (1900) for amateurs, the Chronophone for sound projection (at the end of 1902), and the Chronochrome for projecting colour films (1912). In 1906, the Etablissements Gaumont was founded as a limited company. It flourished until 1914, thanks to an excellent group of film directors including Louis Feuillade, Jean Durand, Roméo Bosetti, Léonce Perret, and Emile Cohl. In the twenties, the firm produced one avante-garde filmmaker, Marcel L'Herbier, but otherwise stayed faithful to its conservative image, financing the films of Feuillade, Henri Fescourt and Léon Poirier. It also expanded its distribution and exhibition activities (the famous Gaumont-Palace survived right up to 1972, when the magnificent building, the company's emblem, was bulldozed). In 1930, Léon Gaumont retired; the Gaumont-Franco-Film-Aubert was created the same year. Four years later, the GFFA scandal broke, and the company filed for bankruptcy.